Stay warm and stylish this season with a scarf project that takes less than an hour to sew, but looks like it took a long time to knit. 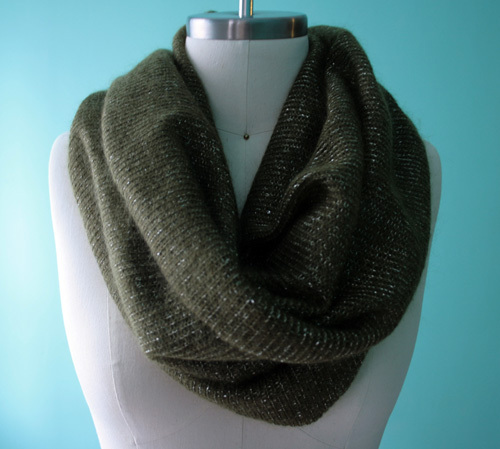 Choose a chunky or metallic sweater-knit fabric to complete the effect. One you see how it works, you can adjust the scarf’s dimensions to make super-long, thick, or skinny ones to suit your style. 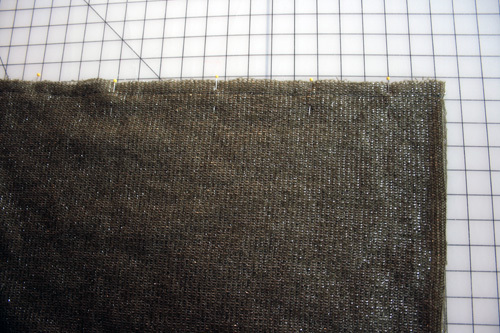 Cut one 31″-wide by 41″-long piece of sweater-knit fabric with the grain running along the 31″-wide edge. Fold the fabric in half with the longer edges aligned and right sides together. 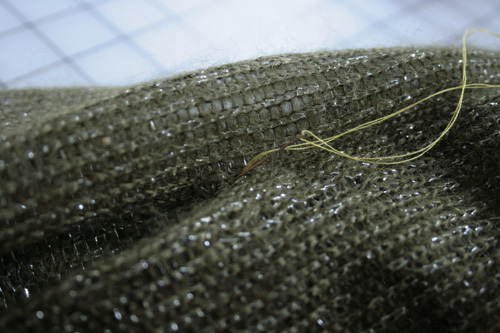 Sew the long edges together with a 1/2″-wide seam allowance. Turn the scarf right side out, then turn one end of the scarf wrong side out and pull it down to align with the other end. Pin the scarf together with the short ends aligned. The scarf will look like a tube. 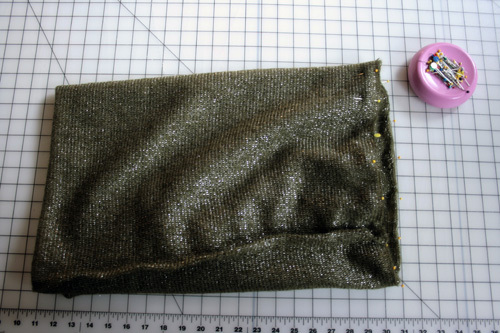 Sew the short ends together using a 1/4″-wide seam allowance, leaving a 4″-wide opening for turning. Turn the scarf right side out through the opening. Super easy to make and great look, but I live in Florida! I recently observed a lady at JoAnne Fabrics having several pieces of silky fabrics cut. She told the employee that she was making infinity scarves to sell at a church bizarre. Is there more than one item that is referred to as an “infinity scarf”? I made this scarf step-by-step per your instructions, however, I feel you missed one VERY IMPORTANT step. After step 1, continue to step 2, but once you have turned the scarf right side out, you should lay the scarf flat with the seam you just sewed at either the top or bottom. Then you need to turn or “twist” the scarf one time in the middle to add a “kink” in the design to create the “infinity” or figure 8 once it is finished. Then continue pulling the one end, wrong side facing out, down to the other short end aligning the short ends. The original side seam will now no longer match seam to seam. 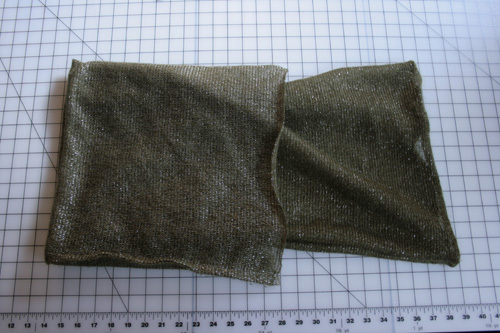 You will be matching one side seam to the center of the other side where there is no seam. Leave a small opening for turning. Once you turn the entire scarf right side out, you will have a figure 8 or “infinity” design. Then you can hand stitch the opening closed.